Draft: 2014, Oakland Athletics, 2nd rd. Daniel James Gossett was originally signed by A's scout Neil Avent…graduated from James F. Byrnes HS (SC)…attended Clemson University…was second team All-America selection by Collegiate Baseball in 2014 and a Golden Spikes Award finalist. Went 0-3 with a 5.18 ERA in five starts over two stints with the A's before going on the disabled list June 5 with a strained right elbow…would not pitch again before undergoing ulnar collateral ligament reconstruction on his right elbow Aug. 1…the surgery was performed by Dr. Keith Meister in Arlington, Tex…is now 4-14 in 23 career starts…since 1908, the only other A's pitcher to lose 14 games over his first 23 career appearances is Johnny Gray, who went 3-14 over his first 23 games from July 18, 1954 to Sept. 10, 1955 with the Philadelphia and Kansas City A's…the last Major Leaguer with 14 or more losses over his first 23 career appearances is Jeremy Bonderman, who started 6-15 for Detroit in 2003…allowed five home runs in 24.1 innings and has now surrendered 26 home runs in 115.2 career innings (2.02 per nine innings)…has surrendered 32 home runs in 437.1 innings in the minors (0.66 per nine innings)…his 26 home runs are the most in Athletics history by a pitcher over the first 23 games of his career…opponents hit .269, including .267 (8-for-30) by left-handed hitters compared to .270 (17-for-63) by right-handers…had a .913 OPS against lefties, .787 against righties…allowed a .351 batting average and all five of his home runs with the bases empty, .139 with runners on…yielded a .188 average with runners in scoring position… also surrendered all five of his home runs with two outs…had a .200 opponents average the first time through the lineup, .321 after that…his career splits are .220 (42-for-191) and .352 (99-for-281)…yielded a .333 average to batters leading off an inning and has a .353 (41-for-116) career average in that situation with a .405 on-base percentage and .517 slugging percentage… did not allow a run in the first inning (5.0 ip) and has a 1.17 ERA (3 er in 23.0 ip) in the first inning in his career…received one run of support or fewer in three of his five starts in 2018 and in 14 of his 23 starts in his career…is 0-12 in those 14 starts and 4-2 in nine starts with more than one run of support. OAKLAND: Began the season in the A's starting rotation and went 0-1 with an 11.05 ERA in two starts before he was optioned to Triple-A Nashville April 7…allowed four runs in 4.0 innings in his first start on April 1 and five runs in 3.1 innings in his second start on April 6, both against Los Angeles (AL)…that extended his streak of consecutive starts with four runs or more and fewer than five innings pitched to five dating back to Sept. 19, 2017…that matched the longest such streak by an A's pitcher since at least 1908 (Rick Langford, April 4-July 17, 1983)…is the seventh pitcher in Oakland history with five consecutive starts of fewer the five innings (previous: Dallas Braden, Aug. 12 to Sept. 29, 2007)…returned to Oakland May 23 and went 0-2 despite a 2.65 ERA and .226 opponents batting average in three starts before he was placed on the 10-day disabled list June 5 retroactive to June 4 with a strained right elbow…tossed a career-high tying 7.0 innings and a career-high 104 pitches in a 1-0 loss to Seattle on May 23…took the loss May 29 against Tampa Bay to extend his losing streak to a career-high six games…is 0-6 with a 7.59 ERA (34 er in 40.1 ip), .305 (50-for-164) opponents batting average and 13 home runs in 40.1 innings over his last nine starts dating back to Sept. 14, 2017…his last win came on Sept. 9, 2017 against Houston… allowed three consecutive home runs in the third inning of his start against Tampa Bay (Cron, Wendle, Ramos) to became the first A's pitcher to allow three straight home runs since Keith Foulke on Sept. 18, 2008 against Los Angeles-AL…yielded just one run in 5.0 innings in his final start June 3 at Kansas City but had a no decision in the A's 5-1 win …… was transferred to the 60- day DL July 21 and had his season-ending surgery Aug. 1. Went 4-11 with a 6.11 ERA in 18 starts over two stints with Oakland in his Major League debut… his .267 winning percentage was third lowest in the American League and tied for fourth lowest in Oakland history…it was the lowest since Steve Karsay went 3-12 (.200) in 1997…had 91.1 innings pitched and did not qualify for the league leaders…based on a minimum of 90 innings pitched, he had the second highest opponents slugging percentage in the AL (.549), the fourth highest batting average (.306) and OPS (.906) and the fifth highest ERA…using the 90 inning minimum, his slugging percentage, OPS and average of 2.07 home runs per nine innings were second highest in Oakland history to Gil Heredia in 2001 (.554, .911, 2.22)…his ERA was sixth highest and the highest since Omar Olivares had a 6.75 ERA in 2000…ranked fifth among AL rookies in games started (18), sixth in innings pitched (91.1) and eighth in strikeouts (72)…tied for eighth among all AL pitchers in wild pitches (10)…his 11 losses are second most in Oakland history by a pitcher over the first 18 games of his career (Mike Morgan went 2-13 in 16 career games with Oakland)…his opponents batting average included a .296 (63-for-213) mark against right-handed hitters compared to .319 (53-for-166) against left-handers…surrendered 15 of his 21 home runs to righties…yielded a .315 batting average with runners in scoring position…compiled a 1.50 ERA in the first inning, a 5.19 ERA in innings two and three and a 9.08 ERA from the fourth inning on…his opponents batting average over those splits were .209, .259 and .379…had a .225 opponents batting average the first time through the lineup, .360 after that…made 12 of his 18 starts on the road and 10 during the day…received one run of support or fewer in 11 of his 18 starts and was 0-10 in those starts…went 4-1 in seven starts more than one run of support… was 1-7 in eight starts against AL West competition, 3-4 against all other teams…opponents hit .359 with a .410 on-base percentage and .543 slugging percentage when leading off an inning… held the opponents clean-up hitter to a .200 batting average but the nine hitter batted .419. OAKLAND: Was selected from Triple-A Nashville June 14 and was the losing pitcher in his Major League debut, an 11-6 A's loss at Miami on June 14…became the 50th pitcher in Oakland history to start in his debut…allowed a career-high seven runs in 3.1 innings, which were the most runs allowed in Oakland history by a pitcher in his debut…they were the most A's by any A's pitcher since Glenn Cox allowed seven runs in 1.1 innings for the Kansas City A's on Sept. 20, 1955 against Detroit…had a sacrifice hit in his first professional plate appearance but then had an infield single off Edinson Volquez in the fourth inning for his first ML hit…joins Tim Hudson (June 8, 1999 at San Diego) as the only pitchers in Oakland history with a hit in their ML debut… earned his first ML win in his third start, allowing two unearned runs in 6.0 innings in a 10-2 win at Chicago (AL) June 24…yielded a career-high nine hits in a 7-6 win over the White Sox July 4 but had a no decision…left with a 6-5 lead but Casilla allowed a run in the ninth inning for the blown save…tossed 3.0 innings or more and walked one batter or fewer in each of his first five career games through July 4 (3 bb in 26.0 ip, 1.04 walks per nine innings)…is the only Athletics pitcher since 1913 and the 11th Major Leaguer to begin his career with five consecutive games of one walk or fewer and 3.0 innings pitched or more…then walked two batters or more in nine of his final 13 starts (28 bb in 65.1 ip, 3.86 per nine innings)…tossed a career-high 7.0 innings in a 3-2 loss to Tampa Bay July 17…equaled his career-high by allowing nine hits in a 6-3 loss to Minnesota July 28…allowed a run on three hits in a career-high 7.0 innings at San Francisco Aug. 2 and picked up the win…however was optioned to Nashville the next day with a 3-6 record, a 5.17 ERA and .281 opponents batting average in 10 starts…was recalled Aug. 23 and went 1-5 with a 7.47 ERA and .342 opponents batting average in eight starts following his return…surrendered a career-high tying nine hits and tossed a career-high 103 pitches in a 3-1 loss at Los Angeles (AL) Aug. 28…finished August 1-1 with a 3.86 ERA in three starts…then went 1-4 with an 8.42 ERA and .336 opponents batting average in six starts in September…based on a minimum of 25 innings pitched, his ERA was the highest in the majors in the month and the highest by an A's pitcher in September since Hod Lisenbee had a 9.10 ERA in 1936…tied for the ML lead with nine home runs in September…walked a career-high five batters in a 10-2 loss at Seattle Sept. 3…struck out a career-high seven in an 11-1 win over Houston in the first game of the doubleheader Sept. 9 in Oakland…allowed a career-high tying nine hits in 4.2 innings in a no decision at Detroit Sept. 19…yielded a career-high four home runs and a career-high tying seven runs in 4.1 innings in a 7-1 loss to Seattle Sept. 25…allowed four runs in a career-low 1.2 innings and took the loss in his final start Sept. 30 at Texas. NASHVILLE: Compiled a 4-4 record with a 3.66 ERA and .239 opponents batting average in 14 starts with Nashville…surrendered just six home runs in 76.1 innings, an average of 0.71 per nine innings…five of the six were solo shots…his opponents batting average included a mark of .230 (37-for-161) against right-handed hitters compared to .250 (33-for-132) against left-handers… opponents hit .161 with runners in scoring position and two outs…went 2-2 with a 2.25 ERA in six starts at home, 2-2 with a 4.67 ERA in eight starts on the road…yielded five of his six home runs on the road…walked one batter or fewer in nine of his 14 starts…tossed six innings or fewer 12 times…walked a season-high five batters in 5.0 innings in his first start April 6 at Round Rock… allowed his first two home runs of the season and also had season highs in runs (6) and hits (9) on April 19 at Oklahoma City…followed that with a seven-start, 42.2-inning, 173 batter faced homerless streak…earned his first win May 12 against Albuquerque when he allowed one run in 6.0 innings…was named Pacific Coast League Pitcher of the Week for the week of May 22-28… won each of his two starts that week and did not allow a run or walk a batter (14.0 ip, 6 h, 14 so)…tossed 8.0 innings at Sacramento May 22 and 6.0 innings against Colorado Springs May 27… the 8.0 innings against the River Cats were a season-high…it was part of a 15.0-inning scoreless streak from May 22 to June 5…went 3-0 with a 1.54 ERA and .203 opponents batting average in six starts in May…took the loss in his only start in June on the 5th at Omaha and was 3-3 with a 3.41 ERA in 11 starts when he was promoted to Oakland June 14…ranked sixth in the PCL in ERA and opponents batting average (.231) at the time…returned to Nashville following his Aug. 3 option from Oakland and went 1-1 with a 4.60 ERA in three starts…struck out a season-high 10 batters in 6.0 innings in a 6-1 loss to Memphis Aug. 12. 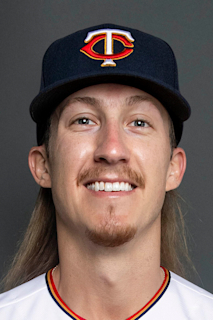 Pitched at three different levels in the A's farm system and combined for a 10-6 record and a 2.69 ERA in 27 starts with Single-A Stockton, Double-A Midland and Triple-A Nashville…led the A's farm system in strikeouts (151), ranked second in innings pitched (153.2), tied for second in wins and sixth in ERA…had career highs in wins, innings pitched, strikeouts and wild pitches (18) and matched his high in games and games started…surrendered just eight home runs, an average of 0.47 per nine innings… was 5-4 with a 3.47 ERA over his first 16 starts through July 7…then went 5-2 with a 1.66 ERA over his final 11 starts beginning July 13…was charged with two runs or fewer in 10 of those 11 starts… allowed a .221 opponents batting average, including .219 (76-for-347) against right-handed hitters and .224 (49-for-219) against left-handers…yielded six of his eight home runs to righties…six came with the bases empty…held the opposition to a .154 batting average when leading off an inning…issued just nine walks for a .203 on-base percentage in that situation…had a .225 opponents batting average with runners in scoring position…allowed two runs or fewer in 17 of his 27 starts, walked two batters or fewer 23 times and surrendered four hits or fewer 13 times. Spent the entire season at Single-A Beloit and went 5-13 with a 4.73 ERA in 27 games, all starts…tied for the Midwest League lead in complete games (2) and losses, ranked second in runs (92) and home runs allowed (16), tied for fourth in games started and tied for fifth in innings pitched (144.2)…was one of two pitchers in the A's farm system with two complete games…also ranked second in the A's farm system in strikeouts (112) and fifth in innings pitched…had career highs in games, starts, losses, ERA, innings pitched, strikeouts, hits (151), runs (92), home runs, hit batters (6), walks (52) and wild pitches (10)…allowed a .270 opponents batting average, including .241 against left-handed hitters compared to .291 against right-handers…surrendered 13 of his 16 home runs to righties for a .474 opponents slugging percentage (lefties slugged .362)…opponents were 5-for-11 (.455) with a home run and 13 RBI with the bases loaded…was 2-6 with a 5.57 ERA and .299 opponents batting average in 13 starts before the All-Star Break, 3-7 with a 4.05 ERA and .245 opponents batting average in 14 starts after the break…went 3-3 with a 3.97 ERA in 10 starts at home, 2-10 with a 5.25 ERA in 17 starts on the road…the Snappers were 9-18 (.333) in his starting assignments…struck out a season-high seven batters in back-to-back starts on April 30 at Peoria and May 5 against Burlington…allowed 10 runs on 15 hits in 3.1 innings for the loss on May 26 at Burlington…tossed his first complete game June 30 at Quad Cities, a seven-inning four hitter in a 4-1 win (3 bb, 4 so)…his second complete game came in a rain-shortened 2-1 loss at Peoria July 16 (6.1 ip, 5 h, 3 r, 1 er, 2 bb, 5 so)…posted his best ERA in the month of July when he went 1-3 with a 3.26 ERA and .214 opponents batting average in five starts… tossed 6.0 scoreless innings for the win in his penultimate start Aug. 30 at Kane County, his only start where he did not allow a run. Went 1-0 with a 2.25 ERA in 12 games (one start) in his professional debut with Short Season Single-A Vermont…struck out 25 and walked just one in 24.0 innings…surrendered just one home run…allowed a .188 opponents batting average, including .176 against right-handed hitters compared to .206 against left-handers…yielded all four of his extra base hits and issued his only walk to righties… tossed exactly 2.0 innings in each of his 12 games…including his lone start on Aug. 4 against Mahoning Valley…made his debut June 27 against Lowell (2.0 ip, 1 h, 1 r, 1 er, 1 so)…picked up his first win in his second outing July 2 against Tri-City (2.0 ip, 4 h, 1 r, 1 er, 1 bb, 1 so)…did not allow a run in five straight games from July 19 to Aug. 12 (10.0 ip)…struck out a season-high five batters in his final appearance Aug. 29 at Staten Island. February 15, 2019 Oakland Athletics placed RHP Daniel Gossett on the 60-day injured list. Recovery from Tommy John surgery. October 29, 2018 Oakland Athletics activated RHP Daniel Gossett from the 60-day disabled list. July 21, 2018 Oakland Athletics transferred RHP Daniel Gossett from the 10-day disabled list to the 60-day disabled list. Right elbow strain. June 5, 2018 Oakland Athletics placed RHP Daniel Gossett on the 10-day disabled list retroactive to June 4, 2018. Right elbow strain. May 23, 2018 Oakland Athletics recalled RHP Daniel Gossett from Nashville Sounds. April 7, 2018 Oakland Athletics optioned RHP Daniel Gossett to Nashville Sounds. August 23, 2017 Oakland Athletics recalled Daniel Gossett from Nashville Sounds. August 22, 2017 Nashville Sounds placed RHP Daniel Gossett on the reserve list. August 3, 2017 Oakland Athletics optioned RHP Daniel Gossett to Nashville Sounds. June 14, 2017 Oakland Athletics selected the contract of Daniel Gossett from Nashville Sounds. December 1, 2016 Oakland Athletics invited non-roster RHP Daniel Gossett to spring training. August 29, 2016 RHP Daniel Gossett assigned to Nashville Sounds from Midland RockHounds. May 29, 2016 RHP Daniel Gossett assigned to Midland RockHounds from Stockton Ports. May 4, 2016 Stockton Ports activated RHP Daniel Gossett from the 7-day disabled list. April 27, 2016 Stockton Ports placed RHP Daniel Gossett on the 7-day disabled list retroactive to April 25, 2016. April 4, 2016 RHP Daniel Gossett assigned to Stockton Ports from Beloit Snappers. April 6, 2015 RHP Daniel Gossett assigned to Beloit Snappers from Vermont Lake Monsters. June 27, 2014 RHP Daniel Gossett assigned to Vermont Lake Monsters from AZL Athletics. June 20, 2014 RHP Daniel Gossett assigned to AZL Athletics. June 13, 2014 Oakland Athletics signed RHP Daniel Gossett.